559-327-9000 1450 Herndon Ave Clovis, CA 93611 info@cusd.com What School Should My Child Attend? JOIN US FOR A FREE COMMUNITY AWARENESS AND HEALTH FAIR! 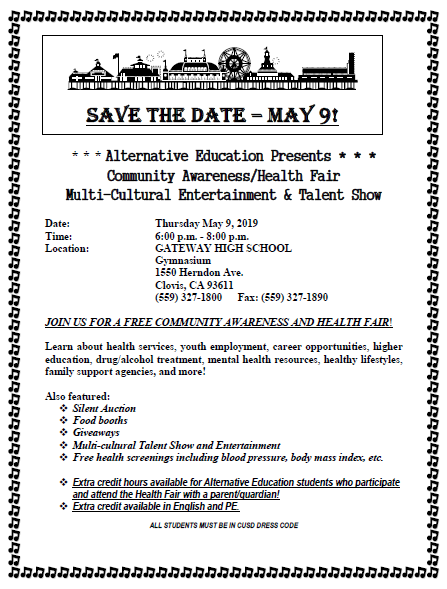 Learn about health services, youth employment, career opportunities, higher education, drug/alcohol treatment, mental health resources, healthy lifestyles, family support agencies, and more!